The rich, sweeping Lower Flint Creek Valley has long been a hotspot for agriculture in western Montana. The area’s rolling grasslands, timbered slopes, rich soils and many cold, clear creeks have allowed producers to live off the land for generations. Due to this rich landscape, and three local families’ love of the land, Five Valleys has recently been successful in securing over $1.8 million in Agricultural Land Easement (ALE) Program funding for three conservation easement projects in this scenic valley. Walking on the Open Cross Ranch. Photo by Little Bear Photography. One of these projects, the Open Cross Ranch, consists of over 5,000 acres of productive agricultural land near Hall. The Open Cross Ranch has been in agricultural use for over 100 years and, with Five Valleys’ help, the landowners aim to keep it that way for centuries to come. 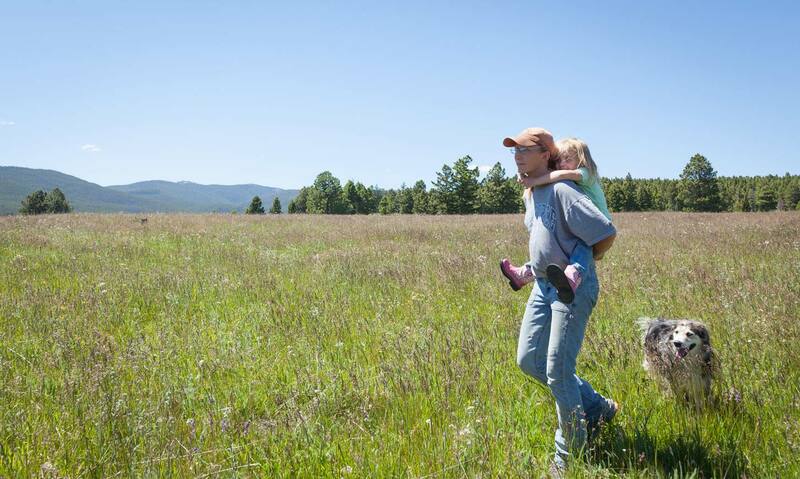 The ranch is comprised of 100% agricultural land, including irrigated hay meadows and upland rangeland. 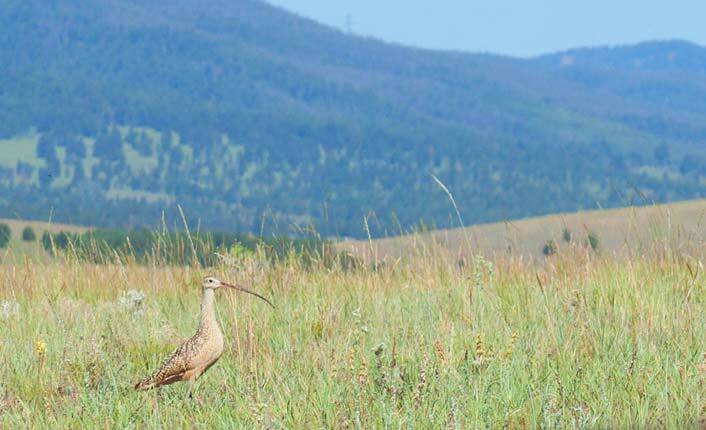 The diverse mosaic of grassland, forest, and riparian habitat types on the Open Cross Ranch supports a wide variety of wildlife, including long-billed curlews, golden eagles, elk, white-tailed and mule deer, and mountain lion. Montana Fish, Wildlife and Parks has documented populations of genetically pure westslope cutthroat trout in several of the tributaries on the ranch. And in the John Long Mountains to the west, grizzly bears have been documented moving between the Crown of the Continent and the Greater Yellowstone Ecosystems. A long-billed curlew on the Open Cross Ranch. Photo by Little Bear Photography. Lee and Gayla Skaw run cattle on and sustainably harvest timber from the property, as Gayla’s family has done for two generations before her. Gayla's grandfather, Charlie Anderson, came with his father from Sweden to the Flint Creek Valley in 1895 and later homesteaded not far Lee and Gayla’s current residence. 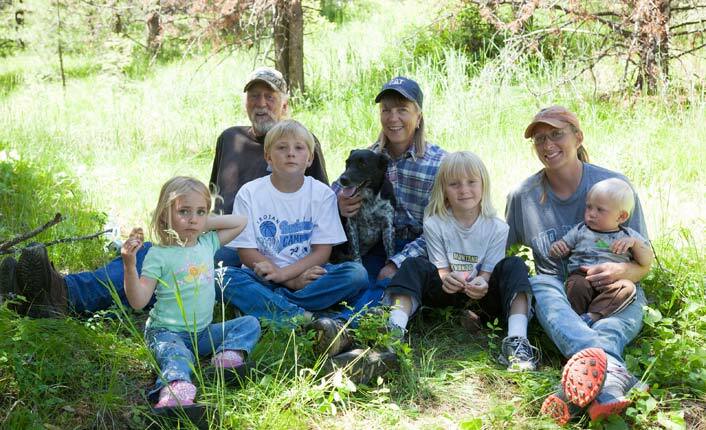 Today, three generations of the Skaw family – Lee and Gayla and their children and grandchildren – live and work on the ranch. The Skaw Family. Photo by Little Bear Photography. With the next generation in mind, the Skaws are committed to sustainable agricultural management of the land. 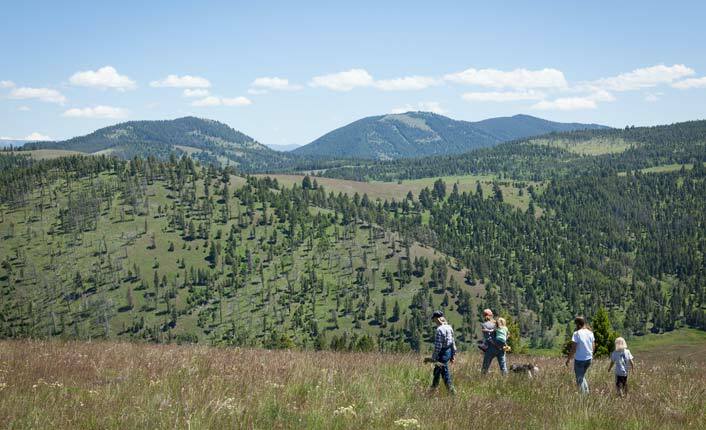 The family utilizes conservative grazing and timber harvest techniques, spreading their impact out season to season and year to year. Their approach recognizes that the management of the land must not only provide a living for the Skaws of today, but those of tomorrow, too. 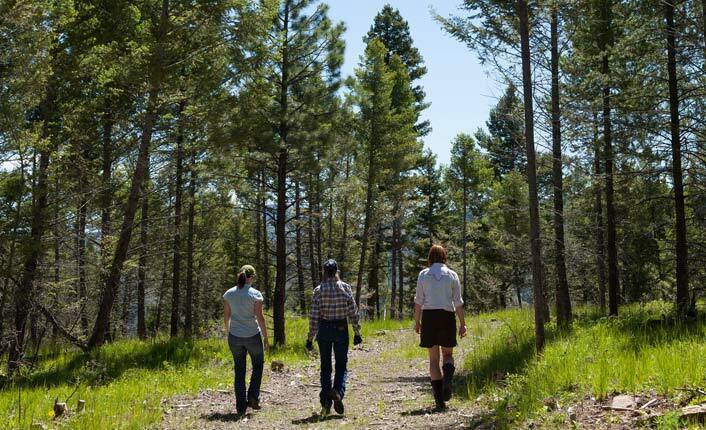 For the last two years, Five Valleys has worked with the Skaws to craft the easements that will protect a vast swath of this picturesque valley. The project, which will utilize ALE funding, donations from the family, and Five Valleys Special Protection Funds, will be finalized this winter. Once in place, the family’s long-held dream of protecting their land, and their livelihood, will become a reality. The scenic Open Cross Ranch. Photo by Little Bear Photography.